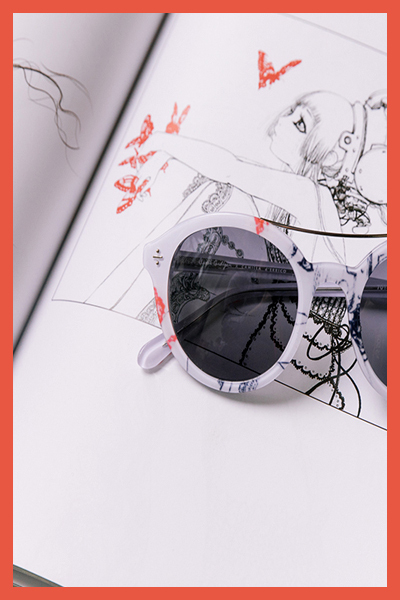 Are you the type of person who enjoys wearing art inspired eyewear? 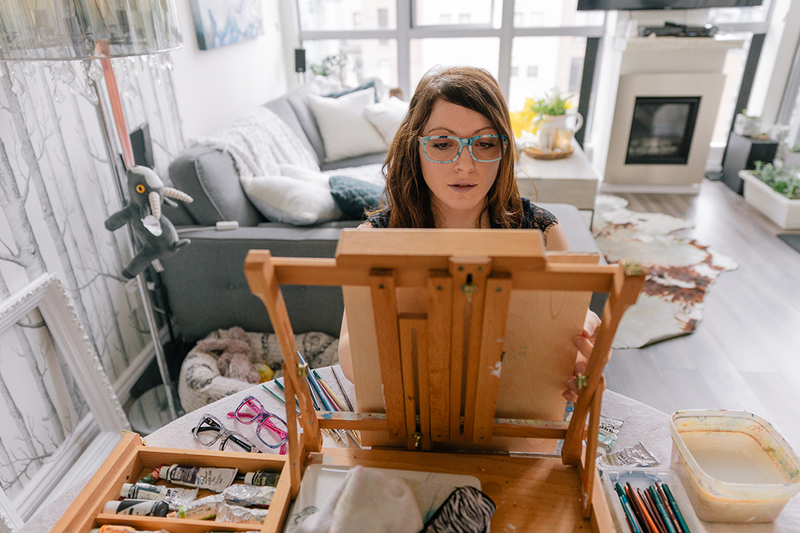 If so, then please check out the following interview I did with Camilla D'Errico, a Canadian based artist who's designed a range of glasses / spectacles for coastal.com. Here, check it out for the full four one-one. 1) What are your own origins, Camilla? I was born in Ottawa, Ontario, and am the daughter of two Italian immigrants, so I’m a product of both cultures. I’ve grown up in Canada my whole life but was raised Italian by my family and had the opportunity to spend some time in Italy with my relatives. It wasn’t always easy to navigate the two cultures but I feel that I’m a very well rounded and unique individual because of it. 2) What inspired you to create a series of surrealist eyewear frames for coastal.com? It was actually Coastal that contacted me about a collaboration. I was thrilled when they reached out! I’m a big fan of fashion and eyewear so this was kind of like a dream project. What I wanted to create wasn’t just a line of glasses that had my art on them, I wanted to create statement pieces that would accentuate people’s personalities! There are super colorful frames for those wild and youthful people who want to make a statement and release their inner Blade Runner. There are white frames for the people who want a bit of funk but without a lot of color so they can easily match these frames with any outfit. Personally I’m a huge fan of the aviators with brown lenses! 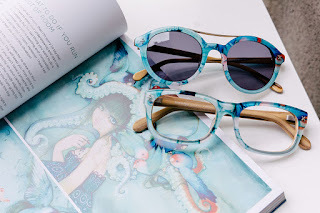 The frames that I designed with the most detail are the teal set that uses one of my all time favorite paintings, “The Loveless Bird”. Teal is my favorite color so this was also a special little nod but what makes these frames extra special are the custom wood textures on the temples. My paintings are created on wood so I wanted to add that extra feature to the “Loveless Bird” frames as a homage to the origins of the artwork. Each frame design is very inspired by the art that I create and the fans that support me. 3) What were the advantages / disadvantages designing images for an eyewear frame? There is a lot to consider when choosing the images. I knew what colors I wanted for the frames but choosing the right image for them was more complicated. There had to be enough of the artwork on the frames to be discernible. There were many paintings and illustrations to choose from, some worked on the frames, others not so much, but at the end of the day we were able to find the right pieces to fit the themes. 4) What song would you say best represents this range of products and why? Well, that’s a very fun question! There are three very distinct looks in the series so finding one song to suit them is a little tough. But I’d say that they are very much like the song 'Skylight' by Gramatik! Funky and fun has a really nice feeling to it. 5) If you could get a celebrity - either living or dead - to promote your wares, who would you choose, and why would you want to choose this particular person? 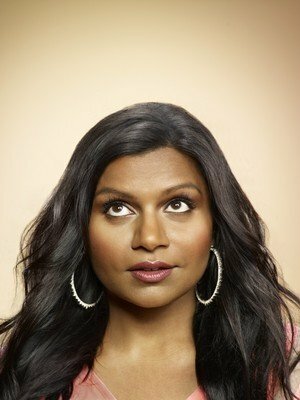 I love Mindy Kaling. I think she’d be amazing to have to help represent my wares. Not only is she super funny, but she’s smart, classy, and funky. I’ve followed her career since The Office and from what I can tell she’s a very down to earth person with a brilliant sense of joie de vie, that beautiful lady is a hard worker with a fantastic sense of style and humor. I’d love to meet her one day and talk about our favorite outfits while eating a tasty burger. 6) What have you learned about yourself through this endeavour? With each new company I work with and product that I collaborate on I continue to learn and grow not only as a professional artist but as a person. I’ve been so fortunate to work with Coastal on this project and see these glasses come to life. I’ve learned the intricacies of making eye wear, which I previously didn’t know, that has made me so grateful because I love learning about how things are made. I think after this project I have a better sense of how to work within a large creative company and blend multiple ideas into one cohesive collaboration. 7) During your time in this field, what is the one thing that has kept you in good stead? I think it was John Buschema’s words that have always stuck with me. He gave me some advice that has gotten me through many tough times. I met him at the very beginning of my career, and he told me that the most important thing in my career is to have passion for my art. He told me that I should choose what I do with my life based on passion and not fortune or fame. Those shallow reasons won’t get me through the tough times, the all nighters, the poor pay, but passion would. His words made me focus on what was important to me and I’ve never forgotten that lesson. 8) If you had a personal motto, what would it be? Never regret the things that you do but those that you don’t do. And on that note, I'd like to thank Camilla for telling us about her wares, before directing you towards her page on coastal, twitter, and of course, her official website.